When it comes to our children, we want to give them the world. Many little girls and some little boys show an early interest in dance and you should not worry about gender stereotypes at young ages especially. The benefits of dance for children far outweigh any potential stereotyping that may come about as the result. Children, whether male or female can learn many things from dance classes that go far beyond practical applications in their dancing. These life lessons are part of the appeal of dance classes to parents around the world. Much like team sports, dance for children can teach some invaluable and important lessons. Discipline and self-control are very important character traits when it comes to dance. You must practice and you must hold yourself in the proper positions for the moves you need to take. Your child will also learn to take turns, to share attention, and to cooperate with others. These are very important skills for a young child to develop and dance classes are often offered for children at a much younger age than many team sports. Your child will also learn the importance of being a part of a group as many dances involve everyone in the class. Dance classes also teach your children about music, rhythm, and beat. Your child will become more coordinated as the result of their dance classes and these classes are a great way in which to encourage physical fitness and exercise. By teaching your child early in life the importance of movement and fitness you will instill in him or her the tools he or she will need in order to remain physically fit throughout the course of his or her life. Dance for children will also help build self-esteem in your child as he or she accomplishes new goals and tasks each week. 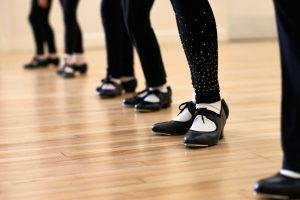 You should watch closely however and make sure that this isn’t backfiring by having your child in a style of dance that he or she finds frustrating. 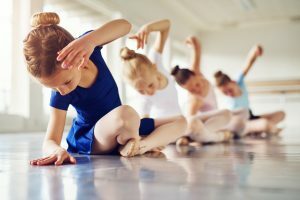 While you do want your child’s dance classes to present a challenge you also do not want them to be so much of a challenge that your child isn’t enjoying them either. You should also keep in mind that if you are considering a long-term commitment to dance classes and competitive dance, the financial commitment could be significant. This is not a cheap alternative to team sports. In fact, quite the opposite is true at older and more competitive levels of dance. Not only are the financial commitments serious but also the commitment of time. Dance is a wonderful method for teaching your child many important skills that will greatly help develop the character of your child. That being said you should be aware that if this becomes something in which your child is exceptionally talented, you might find that the costs are more than you had imagined. You will also find that there are many different types of dance that are offered for children. Among some of the more popular are ballet, jazz, tap, ethnic dances, hip hop, and belly dancing just to name a few. Younger children will probably take a few creative movement classes rather than jumping into one specific style. This gives your children a chance to experience different styles of dance and to discover which moves are more enjoyable and natural feeling to them. All in all, dance for children is a great way to build invaluable social skills. Much more importantly however, it is an opportunity to teach your children the importance of being part of something larger than themselves. This is something far too few children really understand and that will serve them well as they grow and become adults. 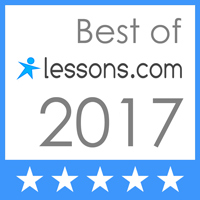 If you are looking for an excellent studio that teaches dance for children you should really concentrate on those studios that place an emphasis on personal development for your child more than competitive opportunities, particularly in younger years. As your child’s talents and enthusiasm for dance grow you can always choose to move your child to a more competition focused studio.